The first drop from our Spring/Summer ‘19 collection is now available in the web shop. Made in Baltimore. We’re starting off 2019 with a preseason surprise drop now available in the online shop. The collection consists of 26 individually sourced and recycled items featuring hand screen printed logos and other alterations. We are currently in the process of moving our studio to a new location so this will be the last collection produced in Ellicott City. More info on the new studio coming soon. Our Fall ‘18 drop 2 is now available in the web shop. This collection includes a heavyweight crewneck sweatshirt, two new t-shirt designs, and three new E hat colorways. In honor of what would have been Elizabeth Nass’ 26th birthday (today), we are donating 100% of the profit from the E hats to Best Buddies International®. Best Buddies is a non profit organization dedicated to helping people with intellectual and developmental disabilities. Visit BestBuddies to learn more. Today we are releasing 19 1-of-1 items for the first drop of our Fall 2018 collection. Some items are thrifted and others are new with tags but all items are completely unique and have been carefully selected and produced for this collection. This summer did not go quite as we planned after we had another devastating flood destroy Old Ellicott City and the gallery for a second time in less than two years. Right now the future of our building is still in question but rest assured that we have some big plans in the works that we will be announcing over the next few months. 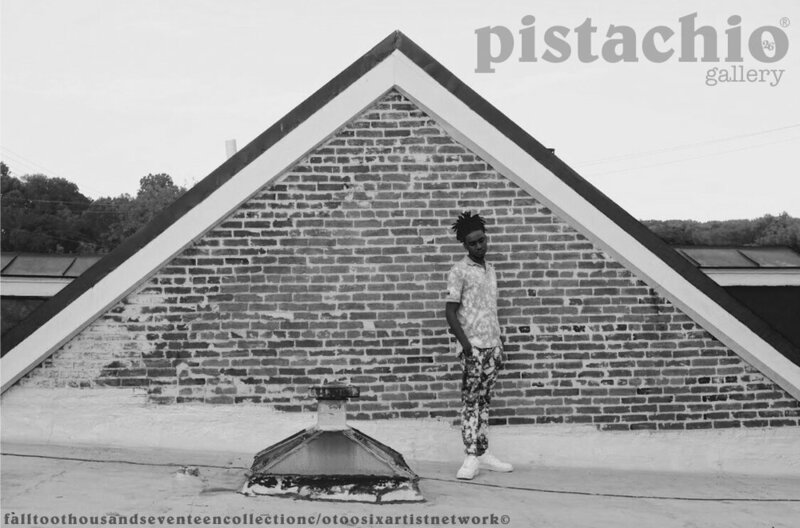 Thank you so much to everyone that has supported and continues to support Pistachio Gallery. The Spring 2018 collection will be available 4/21 at Pistachio Gallery which coincides with Old Ellicott City Springfest. The gallery will be open from 2 - 6pm featuring new work from 13 local artists and there will be live music, beer gardens, and food trucks throughout Main Street. The web shop will be updated today at 5pm EST with 12 new items from our Winter 2018 line. The line features small run items along with a few 1-of-1 thrifted pieces. We will also be releasing a couple new items in-store only at Cotton Duck (8020 Main Street). Visit @pistachiogallery on instagram for more details. Last night we whipped up some black hoodies and joggers for a special Black Friday drop; available today at 2pm in the online shop. Saturday is "Small Business Saturday" on Main Street so make sure to stop by Cotton Duck (8020), Bear Fox Babe (8026), and the Gallery (8061) to support your favorite local businesses in Old Ellicott City. The online shop has been updated with new items from the Fall '17 Pistachio collection. We are also excited to announce that Pistachio Gallery clothing items are now available for purchase at Cotton Duck Art & Apparel, located at 8020 Main Street. Check instagram (@pistachiogallery & @cottonduck8020) for new releases and in-store exclusives. 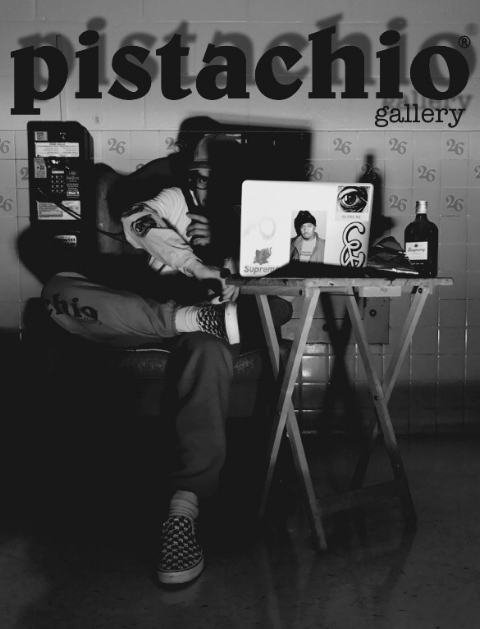 Pistachio Gallery will be open Saturday, 9/23, from 12pm-6pm. The gallery will feature work from 8 local artists and we will also be releasing the Fall '17 collection which includes new and thrifted items. Main Street Music Fest will be going on from 12pm-8pm so make sure to check out the different stages throughout town. The shop page is now stocked with new items from our "late summer" drop. The gallery is currently open by appointment only, next public opening will be September 23rd for Main Street Music Fest. July 29th marks the one year anniversary of the flash flood that devastated the majority of Main Street in Old Ellicott City. Join us at 11:30am for the new clock unveiling and the Pistachio pop-up event at Bear Fox Babe (8026). New E shirts will also be available at Cotton Duck (8020). Come out and party with us in the East End and celebrate the New Old Ellicott City. Pistachio Gallery (8061) will be open by appointment throughout the day. Pistachio Gallery reopened for business on April 22nd to coincide with Old Ellicott City Springfest. Despite the rainy weather all day, a ton of people stopped by the gallery to purchase clothing & artwork and the rain stopped just in time for Woodlum to really pop up once the sun went down. The gallery currently features work from Leah Bassett, Zach Bowler, Brendan Nass, Ronnie Larrimore, Opie Archer, Tarah Boyd, and Julie Chiu. In a few weeks we will be doing another opening with new clothes and updated artwork so check back soon for more details. 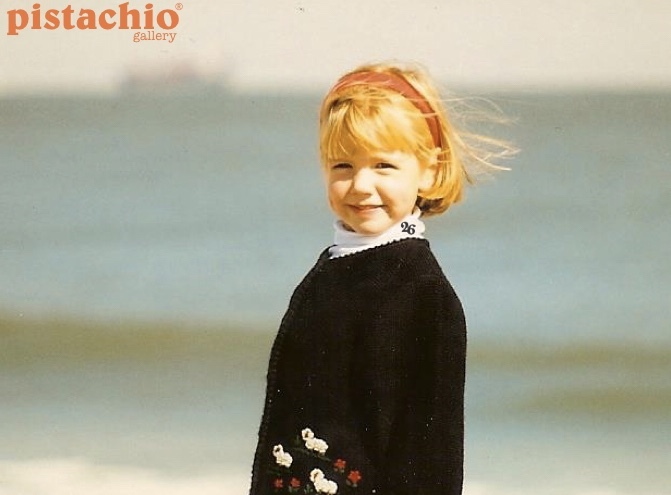 Pistachio Gallery reopens 4.22 which also coincides with Old Ellicott City Springfest. We will be releasing our Spring '17 line which includes these custom dyed Vans™ Black Ball Priz's in pink and tan. These will be available in limited sizes and quantities. In addition to the shoes, new Pistachio Gallery apparel along with thrifted designer pieces will be for sale. We have been working hard with our landlord to get the gallery back to better than what it was before the flood and are excited to unveil the new space along with new work from local Old EC artists. Springfest draws a huge crowd and is always a great event so come out and support the Historic District and listen to some live music. Woodlum will also be returning..if you know then you know. The closing reception for "Dispaced" presented by Too Six artist network and Pure Wine Cafe will be March 6th, 7pm-10pm. The show opened on December 5th and features work from local artists Jereme Scott, Leah Bassett, Zach Bowler, Brendan Nass, Julie Chiu, and PJ Strang. The closing reception will feature new work along with Too Six pop up items. Pure Wine has a reputation for hosting the best art shows in town, come out to support the local art scene and check out the amazing food, spirits, and atmosphere. 8210 Main St. Old Ellicott City.